Casio Computer Company, Limited is a Japanese electronics producer. This multinational giant stations its headquarters at Shibuya region of Tokyo. Begun as a calculator developer, Casio has in markets mobile phones, musical instruments, cameras, watches, clocks, office computers, printers, electronic stationaries and, of course, calculators. Casio is a name well known in Asian markets. 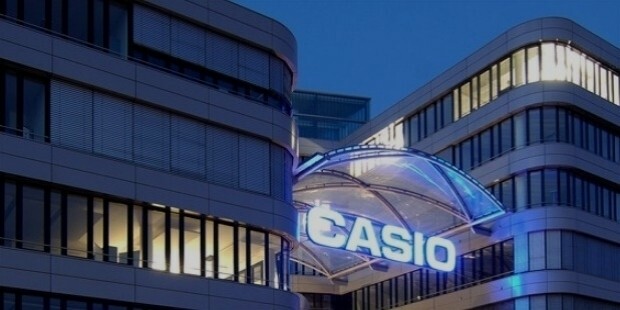 The operations of Casio in the continent helped many developing and under developing economies to depend upon Casio for electronic gadgets and related assistance. Musical instruments, watches, cell phones came from Casio with superior quality, which has made it, one of the most trusted brands. The company comprises of three divisions, namely the consumer division markets watches, calculators, clocks, musical instruments, electronic stationaries, cameras etc., which account for 82% percent of its sales, system equipment department of the company shares 14% of the sales, from where it markets office computers, cash registers, data projectors and rest 4% comes from Others division. Today the most attractive product line of Casio is their watches. The company is able to incorporate a lot of innovative features into its watches. G-Shock watches were hugely popular at a point of time and it is trump card with which Casio dominated the markets. Casio has 41 subsidiary firms. Also, it has associated with three more companies. At the end of the disastrous Second World War, Casio had its origin. In a country which was shattered by the war, in 1946 Tadao Kashio established a firm. Its first product was cigarette holder, which would help one to smoke a cigarette to its very last, preventing wastage because such was the condition of Japan economy. Casio Computer Co., Ltd came into being in 1957, with the release of world’s first fully electric calculator. It cost 485,000 yen at that time. A decade later, Casio Inc. first overseas company in New York was established. In the same decade, Casio was able to establish overseas sales companies in Hamburg, West Germany and also in London. Casio-Taiwan Ltd was an overseas production company that came into being in 1978. Casio started producing musical instruments, especially keyboards in the 1980s. This budget friendly instruments gained huge popularity within a short span of time. Casio came out with wrist watches that surprised many European and American brands in the 1980s. It was able to release quartz watches in analog and digital platforms. First G-shock watches came in this point of Casio’s history. Casio entered into cell phone productions in 2004, joining hands with Hitachi. The same year, it also established an entertainment company. In 2010, the mobile developing unit of the company has incorporated into NEC CASIO Mobile communication Ltd. The very first brand to develop a compact, fully electrical calculator. World’s first inkjet printer came also came from Casio. The developer of the first personal calculator in the world. Casio also enjoys the status of the developer of the first shock resistant watch. The philosophy of Casio group is to help in making a society rich in health and spirituality. It has a lot of programs for the education of children and also supports best brains by scholarships and research funding. The Casio Science Promotion Foundation is one such an example. For a sustainable environment, Casio finds time for planting trees, adopting flowers and supporting ecological groups. The company also pledges to help disaster victims across Japan. Consumers are very happy about the products of Casio. They are enthralled by the products' elegance and simplicity. More than ten thousand people find a job here and have expressed a satisfactory opinion about the MNC.